History is yours for the making! 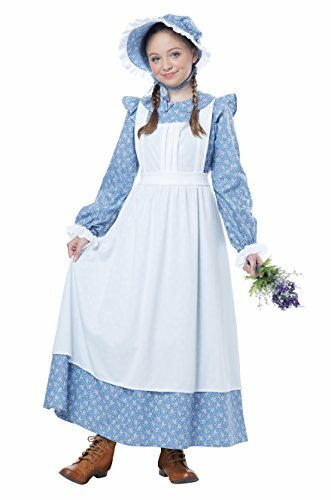 The Pilgrim Girl Costume for Kids is a tasteful settler's robe with bonnet and apron. 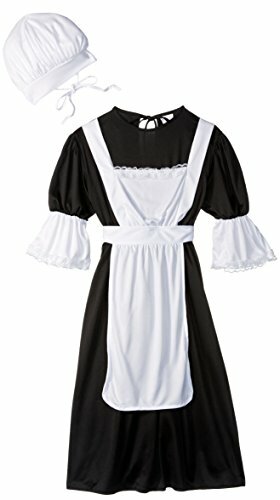 The outfit is decorated with sweet and simple hemming. Whether it's time to give thanks or give treats, this costume writes its own story. Get it online today! 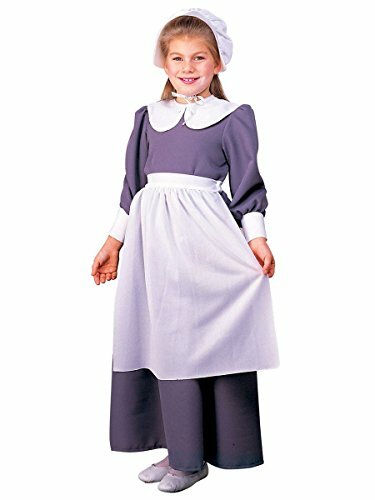 Perfect pilgrim girl costume comes complete with bonnet. Made from 100% polyester fabrics and is wrinkle free.